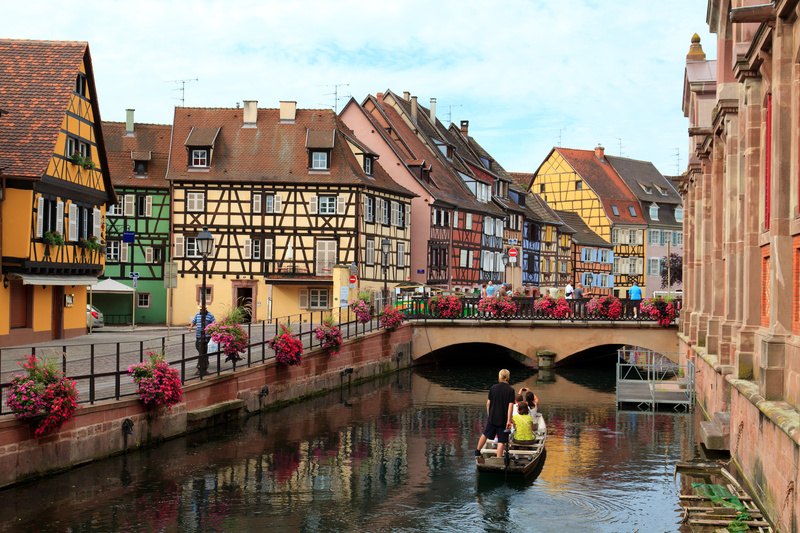 Located between the Vosges and the river Rhine, the border with the Palatinate in the north and Switzerland in the south, Alsace is a land of passage and a melting pot in the heart of Europe. The landscapes of Alsace are breath-takingly beautiful. Alsace is also Rhenish territory, watered by the great river that rises in the Swiss Alps and flows into the North Sea. Alsace has an historical identity, which is specifically Alsatian. As a member of the Holy Roman Empire of the German Nation until 1697 this identity was firmly anchored in Central Europe for centuries. The history of the region is distinct from both the history of France and the history of Germany. Between 1870 and 1945, Alsace, torn between France and Germany, changed nationality four times, resulting in deep wounds and trauma. With each change of nationality one of her languages was banned while a whole generation was sacrificed. Although Alsace is part of France it is distinguished by the fact that a Germanic language is spoken there. Today, of the 1.8 Million people living in Alsace, approximately 600,000 speak Alsatian on a regular daily basis.